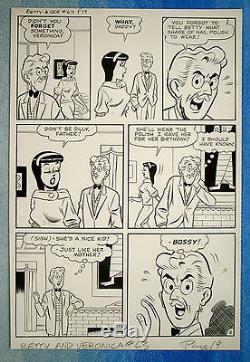 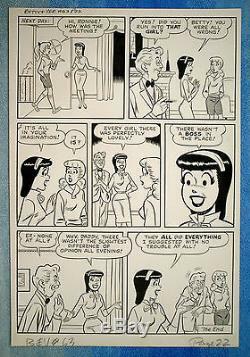 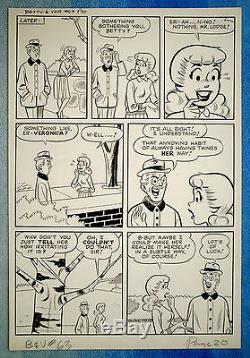 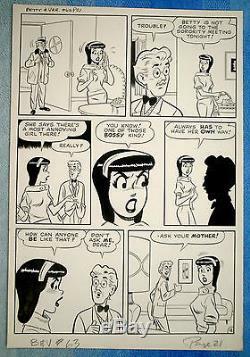 Complete 5-page story: "The Boss" from Betty & Veronica #63 (1960) original art by Dan DeCarlo on oversized 12.5x19 art board dated Oct 1960 by the Comics Code. 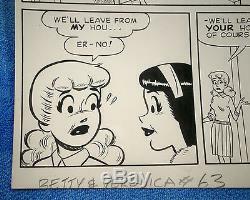 The item "Complete Betty & Veronica story, 1960, art by Dan Decarlo" is in sale since Wednesday, February 22, 2017. 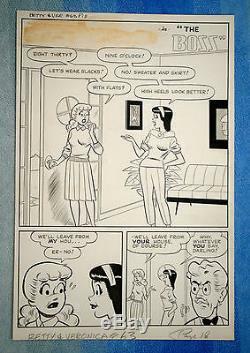 This item is in the category "Collectibles\Comics\Original Comic Art\Complete Stories". 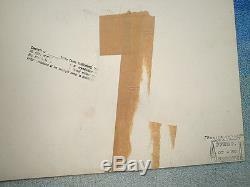 The seller is "thinkbolt2001" and is located in Seminole, Florida. 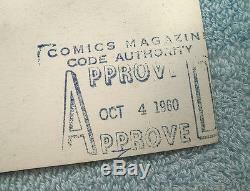 This item can be shipped to United States, to Canada, to United Kingdom, DK, RO, SK, BG, CZ, FI, HU, LV, LT, MT, EE, to Australia, GR, PT, CY, SI, to Japan, to China, SE, KR, ID, to Taiwan, ZA, TH, to Belgium, to France, to Hong Kong, to Ireland, to Netherlands, PL, to Spain, to Italy, to Germany, to Austria, RU, IL, to Mexico, to New Zealand, SG, to Switzerland, NO, SA, AE, QA, KW, BH, HR, MY, BR, CL, CO, CR, PA, TT, GT, HN, JM.